TL;DR - Smart organizations can configure their marketing technology solutions to proactively adopt a MarTech framework that unifies the customer journey to proactively create novel customer experiences, better analytics, and automation capabilities that drive business value. How can GoToMarket teams with dozens of marketing technologies unify their most important customer data? Data has been in silos as long as there have been different systems that create and store customer data in both marketing and sales. Instead of existing in a single place as a constantly-updated source of truth, sales and marketing data tends to be locked up in different applications. Data silos make it challenging for marketing and sales to effectively engage customers, optimize the customer journey, and get a unified analytical perspective on the entire lead-to-revenue process. These data silos go beyond marketing and sales too. The data that companies need to engage customers exists in pieces across the entire company: marketing, sales, product, engineering, finance, and elsewhere. Additionally, each of these departments may store customer data in a variety of tools from different vendors. 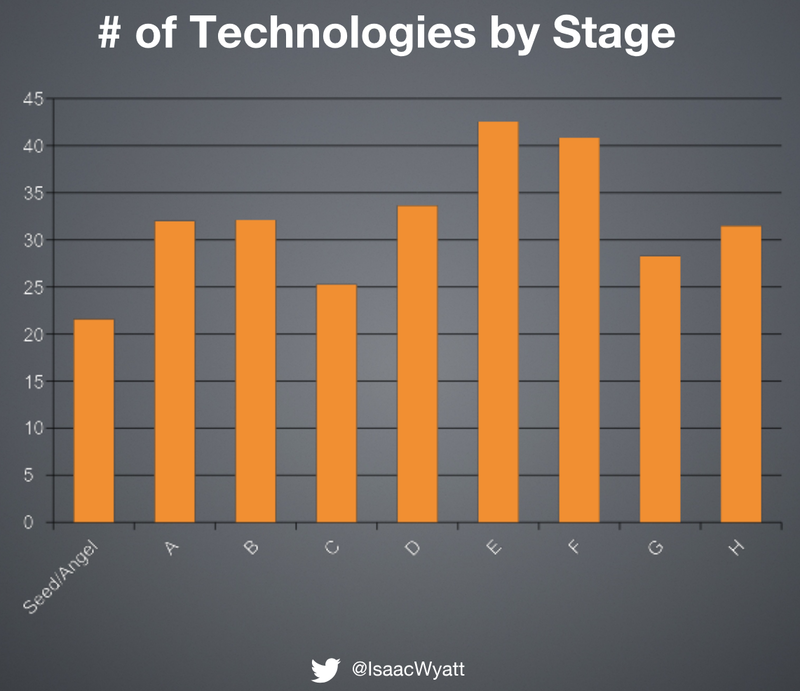 The average Series A company uses 30 different tools for website technologies alone - to say nothing of the rest of their MarTech stack. The fact that organizations often focus on optimizing for local output instead of global throughput has broadly influenced the proliferation of technology. Many will buy tools to support the optimization of the customer journey without any context on the global journey. Benefit 1: A company can deliver more value to customers at every interaction with a brand or product if the data about their preferences and behaviors are made available at the point of interaction. People’s experiences end up inconsistent and rigid when data about their preferences and behavior are stuck in silos. In this case, if our salesperson even bothers to contact this lead, it might mistakenly be a cold touch that completely misses out on the fact that this lead has already expressed significant interest in very specific aspects of the company’s offering. In fact, the salesperson might actually skip the lead entirely because this person didn’t trial the product. By focusing only on that milestone without access to the customer’s previous behavioral data, our seller misses out on what is clearly an otherwise very hot lead. This kind of problem is embarrassingly common. I once found a number of leads worth hundreds of thousands of dollars of sales pipeline that hadn’t been qualified because they didn’t meet the company’s strict “trial activation” criteria. Other departments, like customer support, can also benefit by having visibility into the data generated by upstream customer interactions. This is because customers often leave a data trail of support fixes they’ve attempted through interactions on the website, like which sections of your support portal they’ve read. Benefit 2: Unifying customer data at every conversion stage allows for granular insights, reporting, and ad-hoc analysis into what combinations and sequences of interactions turn interest into a purchase. This discredits both marketing and sales when they can’t show how their work contributes to shared pipeline and revenue. It also underserves the business, because it may not know which tactics or programs to increase investment within. In addition, it is a missed opportunity to create customer value and reinforce a quality brand experience. Benefit 3: When all your engagement tools can access data available in other tools, you can increase the value of each revenue tactic through smarter segmentation, personalized messaging, and increased automation. Automated customer engagements like email nurturing achieves higher relevance to each customer when they connect the data from each of their tools to the others regardless if the automation comes from marketing, sales, or customer success. Email nurturing programs can increase engagement rates by being contextually aware of the extent of sales engagement, customer support tickets, and more. Predictive churn modeling can use relevant engagement signals from marketing and sales interactions to better prioritize at-risk accounts. The value of every tool used is increased because it achieves higher leverage with access to more data. Conversely, with only a limited dataset, companies typically can’t make the most of their automation tools and digital messaging channels, which leads them to underperform their benchmark return-on-investment. Because tactic owners within marketing and sales can only take action on whatever data they can access, execution is often not truly customer-centric or optimized for business outcomes. Before marketing had access to sales or product data, marketers couldn’t credibly engage in post-sales or renewal conversations, for instance. Today, whatever data is available in your customer relationship platform (CRM) is what drives sales automation. If your sales automation tools could access data points like customer behavior on your company’s website, your sales team could provide immediate engagement to their target accounts, potentially accelerating meetings. All organizations need to grow faster and more efficiently. But without a thoughtful technology strategy to manage the scattering of customer data across different siloed repositories, the capabilities of a company’s tech stack and the technical debt associated with it become an equation balanced against the success of the team. The problem of tech stack complexity doesn’t always become obvious within organizations until it has matured beyond the capacity of people and the stopgaps they employ to keep the critical components of the tech stack running. However, once teams clear the initial hurdles of implementing the basic pillars of their operations - planning and executing those initial campaigns, ingesting and processing leads, follow-up for sales, and tracking initial metrics - they can remove those proverbial training wheels. They’re preparing to scale. This is exactly the point in a company’s growth at which the technical debt of a poorly-integrated tech stack can turn what should’ve been a hockey-stick growth curve into a flat line. The challenge to unify marketing data might seem approachable, even straightforward in early-stage organizations with a small number of tools. 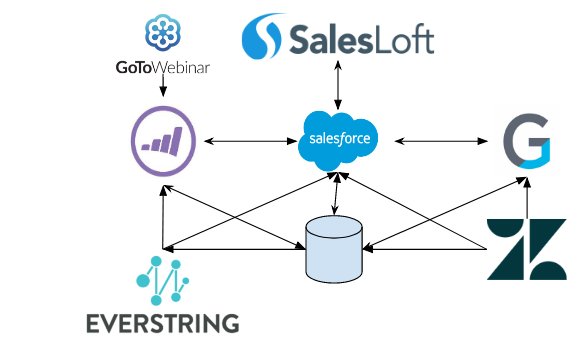 However, the amount of data these growing teams need to flow across their stack increases exponentially with the number of tools they have and the number of integrations they need among those tools. Even with a small tech stack, there are six data transfers that need to take place in a certain order. Of course, these data transfers also have to occur with a certain minimum frequency to ensure lead and account info are up-to-date and not leading to costly revenue leakage. 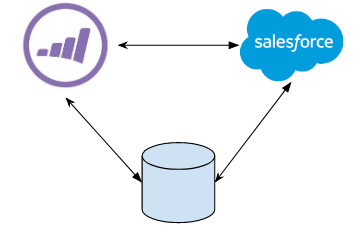 In the early days of digital marketing, a software developer could cobble together a working solution to sync Salesforce and Marketo. This solution might have taken the form of an Extract, Transform, and Load (ETL) data transfer process for a custom data integration, assuming the revenue team could make a strong enough business case to justify the IT resources. Each time an organization adds a new tool to its stack to support the customer journey, it needs to add a new set of integrations to support that tool’s requirements. This means having to request more software development time and resources. It also expands the number of services that need to be monitored and checked. As the number of tools increase, the number of integrations that organizations need for those tools grows exponentially. If the vendor that sold our organization its newest tool doesn’t offer the exact type of integration the company needs out of the box, the company will need to procure that integration. This is when most organizations realize that the technology stack supporting the customer journey needs to have a thoughtful strategy behind its MarTech architecture and management. It’s around this time that organizations also tend to realize that software development resources don’t usually scale at the same rate of their tech stack’s complexity. For many such organizations, this means filling IT requests to build out these integrations internally that may take multiple months, if not quarters, to materialize. Meanwhile, the sales and marketing teams aren’t having their growth targets paused to accommodate these growing pains. Over time, they tend to find it more and more challenging to reach their growth targets. Without a strategy for managing the growth and lifecycle of components in the technology stack that supports the customer journey, organizations can struggle to get the most out of their investments, grow efficiently, and grow effectively. The entire organization can benefit from an investment in such a strategy when scaling efficiency becomes a barrier to growth. By creating a unified data set in a customer data platform representing the customer and democratizing the access to it, organizations can align every department to a single, objective view of the customer. Unifying the customer data in your marketing solutions through enhanced integrations delivers more customer value through increased personalization and thoughtful engagement tactics, improved insight, segmentation, customer analytics, and better automation experiences for the customer.